The sights! The sounds! The light sabers! Star Wars is back. Seriously. This is a Star Wars movie. I know you’ve been tricked before, but these are the droids you’re looking for! You see, the director, J.J. Abrams, understands what makes us Star Wars nuts tick. He is one of us. Star Wars is an interstellar conflict between good and evil. And that both sides are captained by space samurai connected to one another by a zen enlightenment called The Force, not by intelligent speaking mitochondria. Star Wars is about a protagonist who struggles against confusion and against an antagonist. And when you are dealing with something as pretentious as good vs evil, you will probably need a good writer, to help us forget we are watching a soap opera. I fell in love with The Terminator in 1986. The film made such an impression on me that I’ve followed its star and its director for their entire careers. I have watched director commentary and deleted scenes, and visited forums where they discuss the Terminator’s canon timeline. I own every episode of Terminator: The Sarah Connor Chronicles television show on Blu-ray. If you visit the How We Rate Films page on this site, we cite The Terminator as an example of a nearly perfect science fiction film. When T2 came out, I videotaped Schwarzenegger interviews on Arsenio Hall, HBO, Jay Leno and anywhere he or director James Cameron would appear. I recorded The Making Of, and went to a special sneak preview of the film with my father. Snowpiercer. In the future, as global warming takes hold, a third of the world’s nations decide to release a gas into the atmosphere to lower temperatures. This act backfires and a deep freeze kills all of the population of Earth. Except for a few. These few live on a train (ostensibly the Snowpiercer, though not named so in the film). It circumnavigates the globe annually, coasting over the frozen tundra of Asia and Africa. This train has a self-sustaining ecosystem, the culmination of one man’s life-long dream. On the train, people toil away. Dirty. Feeding only on black gelatinous nutrient bars. Desperate for a change. They’ve been there for seventeen years, since the freezing of the world. But they know that there is a better life further up the train. Soldiers and a loud and obnoxious bespectacled indoctrinist try and convince them that they should be satisfied with having their lives, and not concern themselves with where and how the soldiers live. Resistance is met with amputation, a punishment which reduces one’s means of productivity, further limiting prospects. 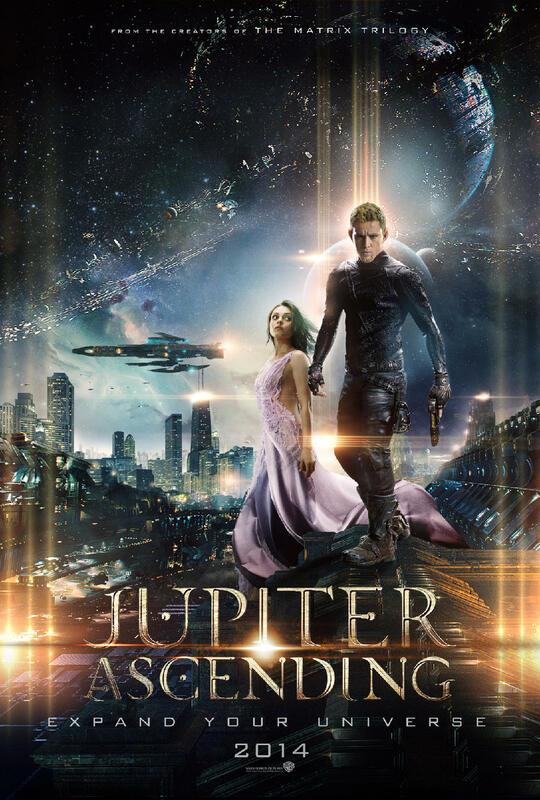 Jupiter ascending is the most ill-conceived space opera since the nineteen-eighties. Superpower team bad movie checklist legend: GO! Ludicrous technology held over from pre-teen fantasy. A broken narrative peppered with multiple flashbacks to things we saw a half hour ago. Psychotic bad guy who kills his own minions. From the gloriously cheesy synthesizer and guitar score opener, to the kitsch grey design scheme, complete with smoking and twisting knobs, this film takes an obvious cue from Buck Rogers and Battlestar Galactica (in case the title wasn’t evidence enough). I need to preface this review with a disclaimer about my objectivity. I love Christopher and Jonathan Nolan’s films. They wrote and directed The Dark Knight Trilogy, The Prestige, Inception and Memento. Christopher’s love of film over digital, practical over computer generated, and human character interest over plot contrivances have endeared me to him. 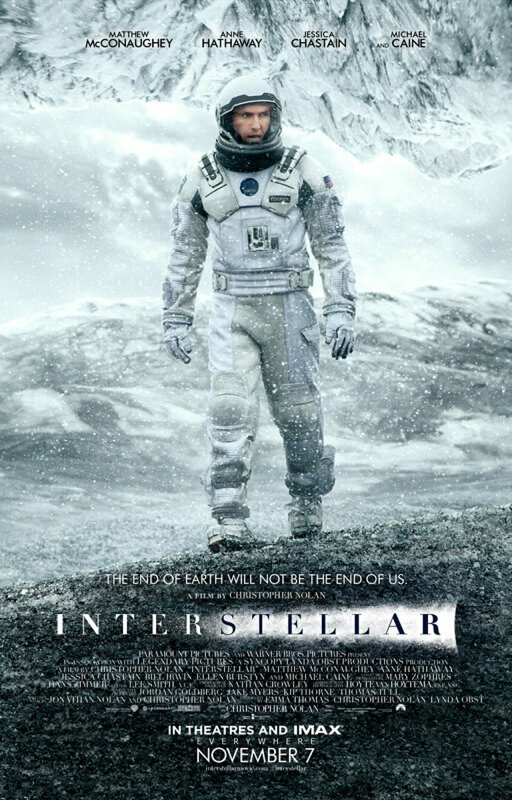 I was really looking forward to Interstellar. Jacq Vaucan (Antonio Banderas- Desperado, The Mask of Zorro) is an insurance adjuster for ROC, manufacturer of the Automata, the world’s only semi-sentient worker robots. He goes about his days enacting basic insurance scummery and moping about his relatively privileged condition in the post apocalypse of solar radiation. Automata successfully dials in to the tone of Blade Runner, its obvious antecedent, while establishing its own visual aesthetic. But there’s no point. The visual effects are fantastic, but twenty minutes of plot are stretched out to an interminable hour and fifty minutes. The mystery takes so long to unravel, we don’t care anymore. Even worse, it’s not even solved by the gumshoe’s efforts in any way. The mystery leaks out of the shadows on its own, unraveled by a monolog for which our protagonist isn’t even present. 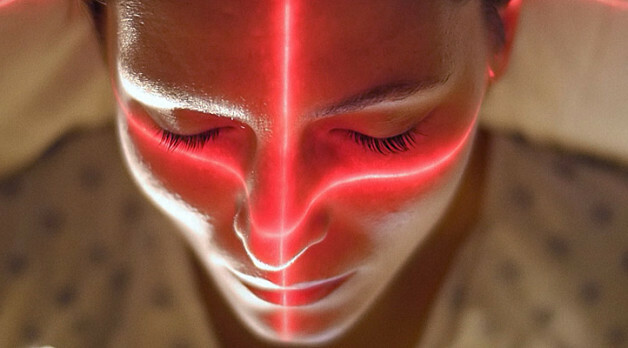 Upstream Color is a personal experience, not to be explained away simply. It is challenging to watch, and more so to write about. Shane Carruth understands that the people who watch this film will be very familiar with his work, and that he can skip the overtures and come right to the raw, blurry point. Although I seldom wish to speak about the makers of a film I review, and instead to focus on the art they’ve created, I must confess personal admiration for Carruth: his work ethic, his writing ability, and his methodology. There isn’t enough money in the caliber of films he writes to draw Hollywood financiers, but, rather than compromise his vision, he skips the system and shoots everything himself. He writes, directs, acts in, and scores his own films. Mr. Carruth makes films the way I would hope to: without pedestrian, four-quadrant, handholding. This is a serious gamble, one that can make or destroy commercial prospects for a film. I was excited enough about Upstream Color to pre order the blu-ray disc without knowing what the film was about. His previous film, Primer, I have reviewed here and given high marks. In Upstream Color, Mr Carruth has added a far more commercial cinematographic experience, almost as an apology for the even more cerebral plot of this film. Biological effects, growth, macroscopic photography, pig life, and the joining and transformation of colors, all swirl in a pool of imagery, wedged between the blinders of a curious narrative. Every single visual in Sunshine is gorgeous. Clearly the filmmakers were trying to out compose 2001. The lighting, colors, and composition are nearly flawless. Even the prettiest shots exist more to tell the story, than as eye candy. In the near future, the sun’s nuclear reaction has declined, wrapping the Earth in a solar winter. A bomb was created to reignite Sol. A team was chosen and launched into space. They disappeared. It took seven years to build another bomb. A second mission was launched. Enormous resources have been expended on this project and there will never be another payload. If this missions fails, humanity is over. On their way, they encounter the Icarus I. The rest of the film crosses genres to ask two main questions: what happened to the Icarus I, and will the crew of the Icarus II be able to complete the mission to save life on Earth? The type of problems the captain and crew encounter on this second mission are scientific and frightening. Solar shield failure, oxygen generation system destruction, radiation, and flubbed trajectories. In all of that, the question becomes how do real people respond to desperate crises. Human frailty and ego are contrasted with selflessness, heroics and mortal determination. The Best X-Files. A huge debate for fans, but even tougher for those who aren’t. You’ve been trying to convince one of your close friends, or significant other/others (no judging here!) to give The X-Files a try. It’s not working. You’re too close to the problem. Showing them revelations about the CSM, or Samantha, or Scully’s abduction segment isn’t having the effect you intended. The problem is that you were stunned and awed by those events after watching years’ worth of episodes. Then you try to sum up that feeling with a sentence like, “Well Mulder’s sister was kidnapped when he was a boy.” You need to start with self-contained episodes that don’t require previous viewer knowledge. Episodes where the viewer can intuit some of the relationships between the characters from their reactions, instead of drawing on show history. Another problem that long time X-Files viewers have is their resentment of David Duchovny’s reduced involvement starting with season eight. They’ve not made room for how good some of the Doggett episodes are.